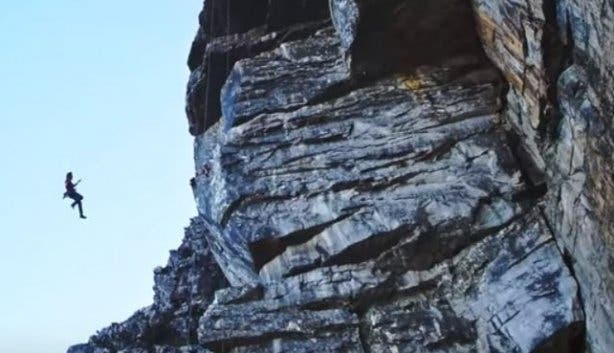 Local filmmakers Damien Schumann and Garrreth Bird have put together this awe-inspiring video of rock climbing on Table Mountain. The video, titled "Springmielies", highlights climber culture with the antics of three rock-climbers scaling the rock face just below the Cableway – and then boldly jumping off it. Having assembled bungee rigs with the safety of climbing ropes, the climbers ascend as far as they can go and then leap spectacularly down. We recommend that you do not try this yourself, these are trained and experienced climbers who placed safety first ahead of their daring feat. Explore the natural beauty of Cape Town and surrounds with this overview on hikes and walking trails. Be versed in safety tips and climbing etiquette when hiking Table Mountain. Lastly, here are 15 facts you didn't know about Table Mountain. Use our events section for an up-to-date overview of happenings in Cape Town. Also, don’t forget to subscribe to our newsletter and add m.capetownmagazine.com to your home screen for quick access on the go!